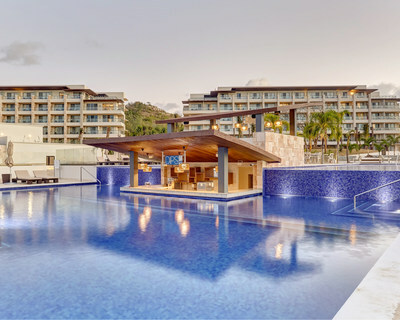 PARSIPPANY, N.J., Aug. 2, 2018 /PRNewswire/ -- RCI, the global leader in vacation exchange as part of Wyndham Destinations (NYSE: WYND), added more than 90 new properties to its affiliate exchange network during the first half of 2018. The new affiliations include resorts in Africa, Asia, Europe, India, Latin America, the Caribbean and North America. "We're proud of the more than 90 affiliated properties we've added to the RCI network so far this year," said Gordon Gurnik, president, RCI. "Our 3.9 million subscribing members travel to our locations from all over the world to have new adventures and experiences. Through these new affiliations, members can get an authentic taste for destinations they likely have dreamed about, turning those travel dreams into memories they can cherish." Additionally, India saw exceptional growth with 19 new resorts in the region, including Clarks Inn Badami in Badami, India. Travelers looking to get an authentic experience will enjoy a visit to this resort in the heart of the city. The region is known for its rock cut caves and structural temples, like the Badami Caves, Bhootnath Temple and Banashankari Temple. The Registry Collection® program, RCI's luxury exchange program, added the House Majestic by Euphoric in Knysna, South Africa. 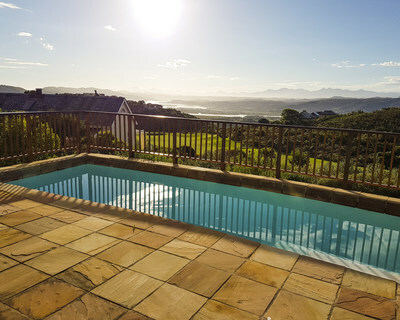 Located on the Eastern Head of Knysna on South Africa's famous Garden Route, the resort offers the ultimate in luxury accommodation, combining a variety of traditional activities like golf and tennis with experiences like hiking through ancient indigenous forests, riding sure-footed cape horses and canoeing on the tranquil Noetzie River. RCI is the worldwide leader in vacation exchange, housing a unique portfolio of brands. RCI pioneered the concept of vacation exchange in 1974, offering members increased flexibility and versatility with their vacation ownership experience. Today, through the RCI Weeks® program, the week-for-week exchange system, and the RCI Points® program, the industry's first global points-based exchange system, RCI offers its approximately 3.9 million members access to more than 4,300 affiliated resorts in 110 countries. RCI's luxury exchange program, The Registry Collection® program, is the world's largest program of its kind with approximately 200 affiliated properties either accessible for exchange or under development on six continents. RCI's portfolio of brands also includes Love Home Swap, one of the world's largest home exchange programs, DAE, a direct-to-member exchange company, and @Work International, a leading provider of property management systems. RCI is part of Wyndham Destinations (NYSE: WYND). For additional information visit our media center or rciaffiliates.com. RCI also can be found on Facebook, YouTube and Twitter.